Around 30 to 40 lawmakers from the opposition Labour Party would be prepared to back a Brexit deal that British Prime Minister Theresa May is trying to strike with the European Union, The Times newspaper reported, citing unidentified lawmakers. 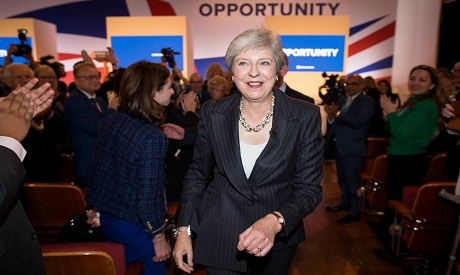 May has 315 lawmakers and governs with a working majority of 13 thanks to a deal with the 10 lawmakers of the Northern Irish Democratic Unionist Party (DUP), though rebels in her own party say 40 of her lawmakers could vote against her deal. The Times said a group of between 30 to 40 Labour lawmakers could defy their leader, Jeremy Corbyn, and vote for a deal that May hopes to bring back by the end of the year. In one scenario being discussed, Labour lawmakers would initially vote down any deal to prove loyalty to the leadership, but if parliamentary deadlock remained the rebels would back any deal that prevented a chaotic departure, The Times said. Without a deal the United Kingdom would move from seamless trade with the EU to customs arrangements set by the World Trade Organization for external states.